Solar MHD Will Revolutionize The Power Industry by Increasing Solar Energy Conversion Efficiency in a System with No Moving Parts. This science fiction sounding technology uses superconducting magnets to strip electrons from high energy plasma jets, and generate power with no moving parts. Rensselaer Polytechnic Institute today announced the signing of an exclusive license agreement with Concentrating Solar Power Utility, Inc. for a breakthrough solar power technology utilizing magnetohydrodynamics (MHD). This science fiction sounding technology uses superconducting magnets to strip electrons from high energy plasma jets, and generate power with no moving parts. The two technology partners were recently selected as finalists in a US Department of Energy R&D project, SunShot: Concentrating Solar Power, which will identify system requirements and accelerate implementation of MHD technologies and prototype development. Magnetohydrodynamics (MHD) is derived from Magneto- meaning magnetic field, hydro- meaning liquid , and dynamics- meaning movement. MHD generates electricity directly from a body of very hot moving gas without any mechanical moving parts. 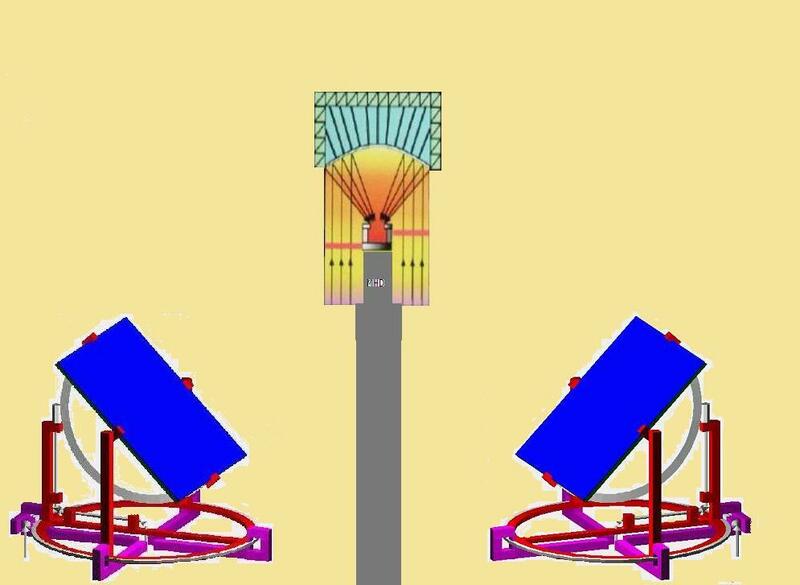 Solar energy, concentrated by mirrors or lens can create this superheated gas; magnetohydrodynamics works by using superconducting magnets to extract electricity from the superheated gas. In a sense, MHD replaces the wires used in conventional electrical generators with ionized gas. The technology behind Concentrating Solar Power Utility utilizes several breakthroughs that exploit new materials and advanced technology. These breakthroughs are in the areas of superconducting permanent magnets, microchannel cooling, high temperature solar heating, and high temperature heat pumps. Much of the technology behind this system has already been patented by co-inventors, Thomas P. Kay, the founder of Concentrating Solar Power Utility and two Rensselaer Polytechnic Institute Professors, Professor Douglas B Chrisey and Professor DR. Professor Yoav Peles. Some of their joint work was, in turn, based on earlier MHD patents held by Kay himself. Thomas P. Kay, the founder of Concentrating Solar Power Utility, is a solar old timer who once worked for Exxon back in the 1970’s as a solar consultant, at the age of 22. To quote Tom, "Because of the higher temperature generated solar MHD is more efficient than older types solar thermal technologies that work at a much lower temperature. The laws of thermodynamics tell us that to generate power from a heat source (e.g. a burning fuel), the higher the temperature, the more efficient it will be." Concentrating Solar Power Utility is a solar-thermal power technology development stage company.